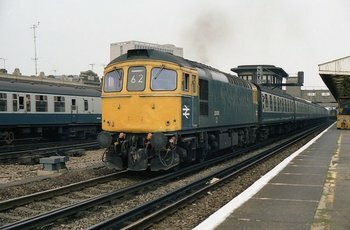 These Diesel Locomotives where built by the Birmingham Railway Carriage and Wagon Company between 1960-1962. 98 in total were produced. It was classified as a Type 3 BO BO fitted with a Sulzer 8LDA28 Prime Mover of 1550bhp and had a maximum speed of 85mph.